In fact, it was my curiosity that made me investigate whether Princess Diana ever visited Russia. Yes, she did. However, all the formal rituals of the meeting in the hospital were broken, according to Mashanin. “At the entrance to the hospital, a small guy interrupted the official procession to seek an autograph. Meanwhile, Diana didn’t meet any of the heads of the hospital, but stayed longer with the kids. She played with them on her knees. 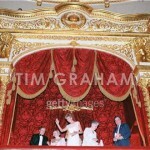 The photographer added, “and still lady Diana was higher than anyone”. The only person allowed to take pictures of Diana was Vladimir Mashanin – Soviet press photographer. In the article in “Novye Izvestiya” he recalled events at Tushinskaya children’s hospital in Moscow. 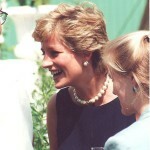 Princess Diana previously supplied the hospital with medical equipment. After the charitable work she went to Moscow primary school 751, there she opened a branch of the “Waverly House” relief fund for assistance to disabled children. 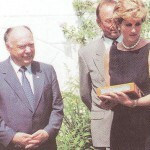 On June 16, Diana presented at the ceremony, where she was awarded the Leonardo Award. 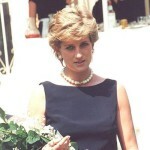 Rescuers from the Russian Red Cross Society say that Diana could have been saved if she had had the first aid in time. Some of Lady Di’s admirers still believe that her death was not an accident but the result of a planned conspiracy. Giving autographs to children. 15 Jun 1995, Moscow, Russia. Lady Diana, Princess of Wales, on visit in Moscow. 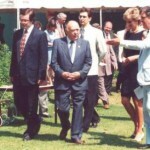 Princess of Wales, on visit in Moscow. Bouquets from fans. 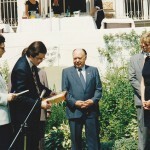 15 Jun 1995, Moscow, Russia. 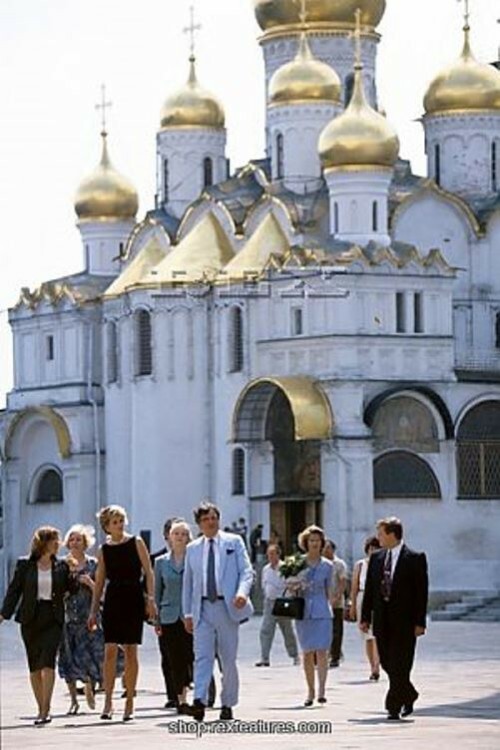 Lady Diana, Princess of Wales, on visit in Moscow. Newspaper photo. 15 Jun 1995, Moscow, Russia. 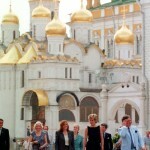 Lady Diana, Princess of Wales, on visit in Moscow.